What it does: Backs up, restores or migrates your WordPress website: Scheduled automatic backups, sends files to Google Drive, Dropbox or 9 other options, real-time backups, database roll-backs, handles domain changes, moves your site to another server and/or domain, handles WordPress staging site, database scan and repair and more. Full details below. Price: From US$80, but there are multiple options. Enter your email address for a 25% discount. My web host offers backups – why would I need a backup plugin? Most web hosts offer backups (and I would always advise you to choose one that does), but what they are backing up is your entire hosting account, not just your website. And the schedule on which they do it varies from host to host. Here’s the benefit of having a site-specific backup: you can backup your website whenever you want or need to – for example after you make any changes to it. You do not have to wait for the next scheduled backup from your hosting company. After all, the hackers are not going to check when the last backup was done and skip hacking your site if it hasn’t been backed up for a week..! If you need your web hosting company to restore the most recent backup they will restore your entire account, which includes your emails and any other files you keep within it. The important part of that sentence: the most recent backup. That means that anything you’ve done since that backup will be lost. And that could include important emails that were received in the period after the last backup was run, up until your request to restore it. While backing up your site from the most recent backup would (or should!) restore a clean site, you wouldn’t want to risk losing important emails. For a long time, up until 2010 in fact, the only backup plugins that were available were database backup plugins. If you wanted to backup your entire website, or move it to another hosting company, you had to manually export the database, download the WordPress files onto your computer, then set up a new database, import the one you just exported, and upload your website files to the new server. Then you had to go through the process of linking your WordPress website files to the new database by editing the configuration file. All of that was pretty straight-forward if you were comfortable with manipulating and editing files and databases, but it took a bit of time – especially in the days before broadband internet! 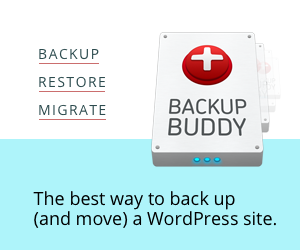 So the first full-site WordPress backup plugin, BackupBuddy, was introduced in 2010. And, for me, that was wonderful because it saved me so much time. Today there are any number of backup plugins that offer full-site, as well as database only, backups. Those are all good plugins that will back up your entire site and enable you to move it to another domain and/or server. There are other popular backup plugins, such as WP-DBManager and WP-DB-Backup that work well and offer Database management functions, but they only back up your database, not your full website. I’ve used BackupBuddy more or less since it was launched in 2010. As I mentioned earlier, at the time it was the only full-site backup plugin available, so I had little choice..! Since then it has been continuously developed to work effectively on sites of all sizes (I’ve backed up sites as large as 12GB with BackupBuddy) and most hosting environments. I say ‘most’ hosting environments because there are some minimum requirements that BackupBuddy does need in order to do its job, which is, after all, a pretty big and important one. For any normal, paid hosting provider these requirements are all met by default. But where you may have a problem is when you’re using a free hosting provider, where these requirements are often not met. I’ve been able to use BackupBuddy on a wide range of hosting providers, to backup a wide range of websites and successfully migrate them (where required) to other hosting providers. Where I’ve come up against excessively throttled hosting providers (e.g. Go Daddy) the BackupBuddy support team have taken me through the settings I needed to adjust in order to get the plugin to work properly. The standard recommended settings for BackupBuddy are here. Restoring a backed-up site is simplicity itself, thanks to the importbuddy PHP script that comes with BackupBuddy. You upload the backup zip file of your site and the importbuddy.php file to the directory in which you want to install the website and then navigate to importbuddy.php in your browser (e.g. www.example.com/importbuddy.php). The script then takes over and the only thing you have to do is insert the database details when it asks you to. BackupBuddy support is offered by ticket/email Monday to Friday. I have no problem with the ticket/email format (in fact I prefer it, because it doesn’t tie me to the computer waiting for a response) but the Monday to Friday support hours is mildly disappointing in that if you get a problem at the beginning of the weekend you have to wait for 2 days for a response. However, the response (at least for me) has always been excellent and handled at the first level by skilled support people. So there’s no question of them referring a problem to ‘second level support’ or anything like that. The person who answers your ticket takes the problem right through to resolution. How does BackupBuddy compare to the other plugins I listed? As I said at the outset: all those plugins will backup your full site and do some of the things BackupBuddy does. They are all good plugins. But not all of them do everything that BackupBuddy does. Updraft is a free plugin, but requires an upgrade to premium if you want to migrate your site, handle multi-site installations and carry out database queries and updates. This plugin is very easy to use (the user interface is good) and but requires an upgrade to premium to add more remote destinations or get priority support. This one doesn’t enable you to create backup schedules, but offers both backup and migration functions. Vaultpress works well but requires you to have a subscription to Jetpack. This means you will need to open a WordPress.com account and install the Jetpack plugin on your site. Jetpack has come in for some criticism for being ‘heavy’ (slowing sites down) but they have improved this over time. The base monthly subscription (currently US$3.50) only enables you to store backups for 30 days in the provided archives. 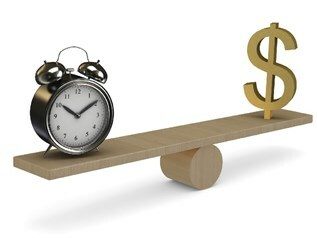 If you want longer storage periods the cost rises to US$29 per website. For me BackupBuddy does everything I’ve ever asked it to. As someone who develops and builds WordPress websites for a living, I’ve had to use BackupBuddy in a range of different environments, on a range of different sites, and it has always performed well. It is rock solid, stable and reliable, with excellent support. Although the other plugins I’ve listed all handle full site backups and migrations, not all of them have all the features that BackupBuddy offers. Great review of Backup Buddy from iThemes… very informative! Backing up your website is very important, and I don’t think a lot of people realise that they need to do this regularly… and if they do… they still don’t do it often enough! This looks like a great option for people and very affordable! Yes – it’s scary how few people back up their websites. You really need to set up a schedule to make sure backups happen on a regular basis – relying on one’s memory is not good..! I know the importance of backing up our site especially lately where Wordpress users have to upgrade to the newer version “Guttenburg”. Without backing it up, everything that we worked for might get deleted or corrupted and our hours upon hours of work might be lost in an instant. Thank you for giving a thorough review on Back up Buddy, but I have some questions that I am wondering about. 1. I normally, back up my site using the option provided by Wordpress. Is that not enough? 2. I wanted to try the Back Up Buddy, but I am not ready to pay yet before testing it out. Does it have a free trial? 3. I try to minimize the use of plug-ins, does Back Up Buddy provide an option of copying code on to my editor. 3. It’s not an option in BB, but you could certainly copy all the code. You would need to copy several files though. Great review. From what you have shared, it seems that this program has so much to offer. A program like this is worth the investment. Yes – it’s a great product. I’ve used it for around 10 years now and it has never let me down!